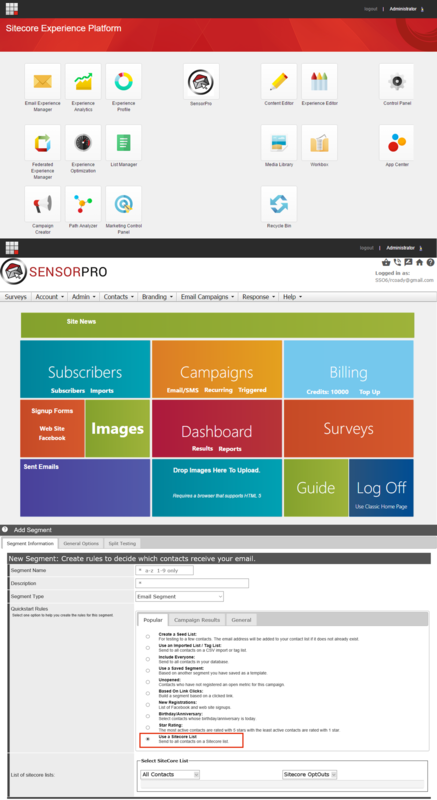 Sensorpro is suitable for Sitecore customers that require high-volume, robust email deliverability, responsive email and advanced survey capability. Sensorpro is a .NET multi-tenanted cloud-based platform and is integrated with Sitecore for Single signon and sending email to Sitecore lists. To get started, download the app from the Marketplace, join us for the next webinar or speak with your Sitecore account manager.